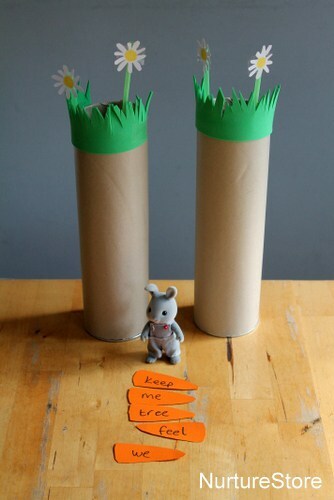 Here’s an easy-to-set-up activity, along with lots of ideas, for spring sorting games for numbers, letters and words. Our sorting game works on the basis of separating two different sets of cards. They can be numbers, letters or words, so you can adapt them to suit your child ~ you’ll find some suggestions below. So, you can set up your game and play different variations each day, or with each child. 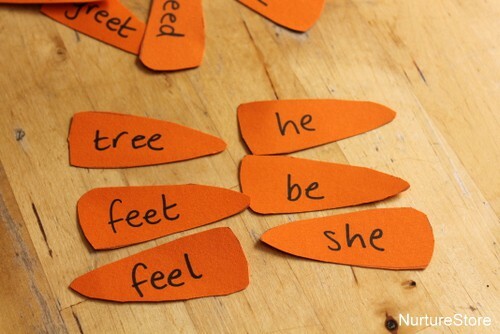 To begin, you’ll need two containers into which your child can sort words. 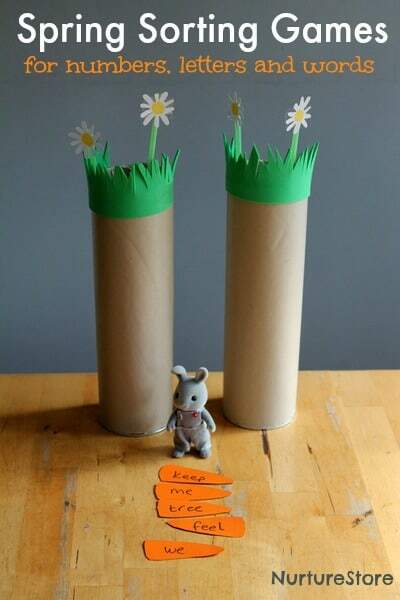 You could use two Easter baskets, but we are all about rabbits this month, so I made two rabbit burrows. 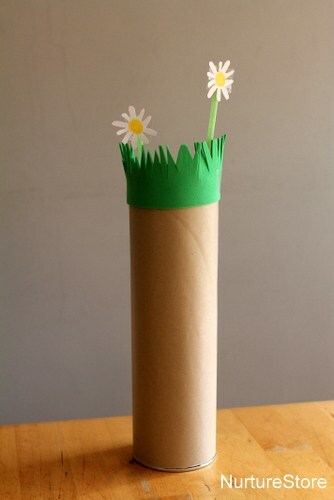 I took two Pringles cans, wrapped each in brown paper, and added some grass and flowers around the top (made using craft foam, card, drinking straws and sticky tape). They’re ever so quick to make, but add just the dash of cuteness my daughter loves. 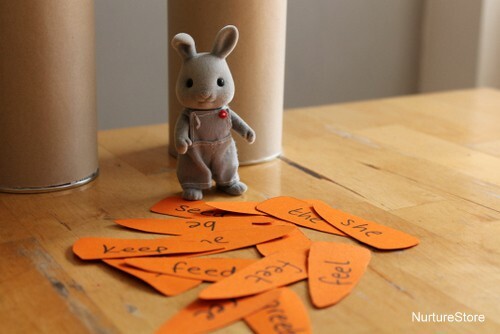 I also made a set of carrots – cut from a piece of orange card – onto which I wrote the words we’re going to sort. We’re working on ‘e’ sounds right now, so our first set has groups of words spelt using an open ‘e’ or ‘ee’. 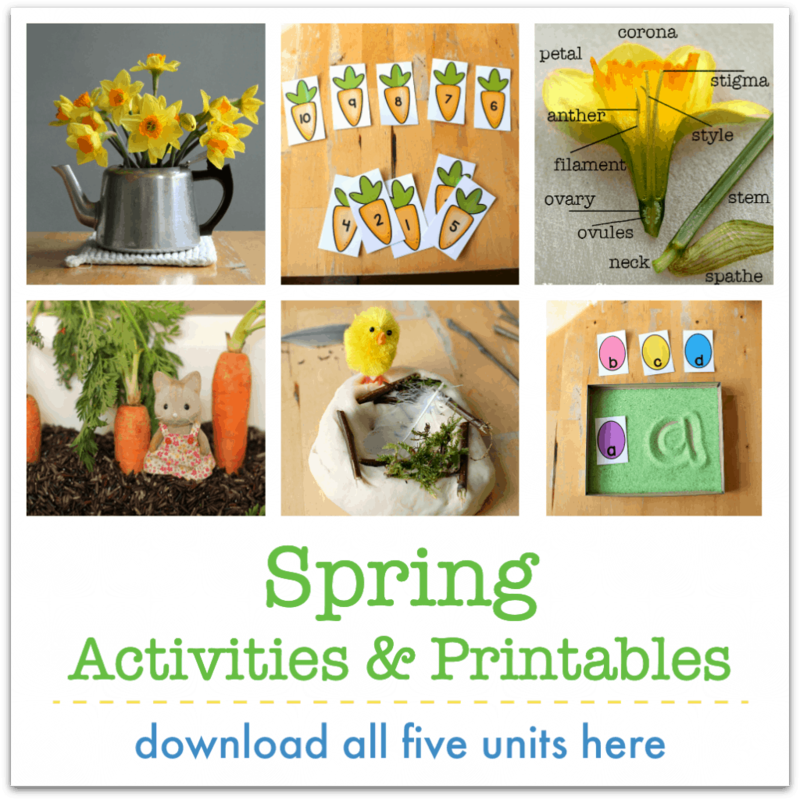 You can make many different sets, so you can use the game again and again, and you can match your activities to what your child is working on – see below for some suggestions. The aim of the game is to help Mr. Bunny sort his carrots into the right burrow. 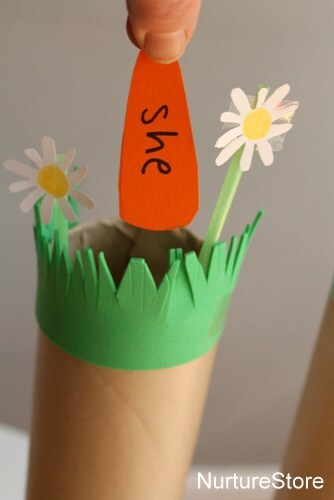 In our version, my daughter is reading the word on each carrot, focusing on the spelling of the ‘e’ sounds, and classifying the word into the ‘e’ burrow’ or the ‘ee’ burrow. It’s a fun, hands-on way to revise spelling rules – which she much prefers to just writing with a paper and pencil.